The protesters were reportedly violent Black Lives Matter activists. Ted Cruz will blame Donald Trump for this. 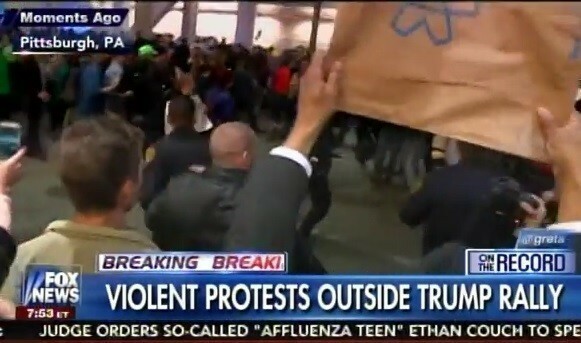 Leftists rioted and attacked police outside the Trump rally in Pittsburgh, Pennsylvania on Wednesday.